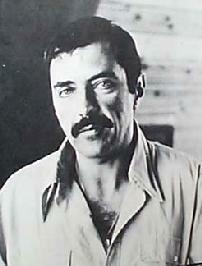 William Peter Blatty was born in 1928 in New York City. His parents were Lebanese and his very religious mother sent him to Catholic schools. He got his first degree at Georgetown University and his M.A. in English literature at George Washington University. Afterward, he went into the Air Force; it was during his time that he began his career as a writer. "The writing is beautiful, haunting, hypnotic... the ghosts of Cast a Cold Eye have not left me." "His writing will leave you both chilled and deeply moved."